Trail goes out of the Ventura River Preserve to Camino Cielo Road. Every time I hike here the trail is cleared further. When finished it will connect with Santa Barbara trails at Divide Peak. 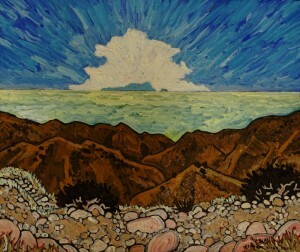 View is Santa Barbara Island.